Plans have been unveiled for 175 new homes to be built on a pasture field on the outskirts of Melton. Davidsons Developments is applying to Melton Council to carry out the development on a site bordered by Burton Road and Kirby Lane. The outline scheme, which would be accessed by a new roundabout on Burton Road, includes public open space and landscaping. Plans submitted by the developers point out that there will be no traffic issues as a result of the new properties because four existing junctions in the area were running with spare capacity and would continue to do so. The applicant also states there is currently a relatively low flow of vehicles at peak times, according to survey data obtained by Leicestershire County Council. 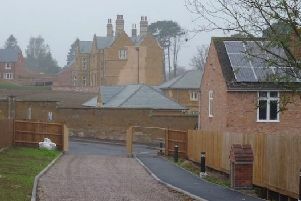 Some residents, whose properties face the proposed development, have been written to and they have been invited to make comments on the scheme. Householders voiced concerns about an adverse impact on local traffic and on their quality of life. They are planning to meet on Tuesday evening to discuss their response.